Jora 70 Gallon 270 Compost Tumbler Review: Is It Worth The Pricetag? Thanks to the Jora JK270 Composter, making compost becomes a real breeze. It is a dual chamber model that allows for continuous use. Because it has two champers, you can add organic materials to one side of the compartment, while allowing those on the other side to mature. The unit is fully insulated and completely sealed, which means it is able to create compost in record time, as quickly as two weeks. In total, it holds 9.5 cubic feet of material, which means it is perfect for a family of four and above, larger households, schools, restaurants, care homes, and so on. When you decide to start composting, you make a decision to help save the planet in many different ways. First of all, you reuse and recycle your own organic waste, instead of throwing it out, which means landfill sites do not fill up too quickly. Secondly, composting is a natural process, which means you do not use any fossil fuels or other forms of energy to create it. Furthermore, once the compost is ready, you can use it to increase the health of your plants, and this completes the circle of life, particularly if you grow edibles. Because of its very large capacity, it is not suitable for smaller homes. You have to supply your own screws to mount it on the wall. The product comes with two insulated compartments. It quickly and hygienically composts kitchen waste. Made from galvanized steel, the composter will last for years. It also comes with a wall mount, although you need to supply your own screws. Additionally, it comes with a rodent proof design and can work in different climates. Because composting generates heat and the different materials you put in there work at different temperatures, it can be difficult to have an even, rich, high quality compost. With the Jora, however, the insulation means it heats to 160 degrees F and that efficiently and quickly composts all organic materials. In fact, before the materials rot and start to attract flies and rodents, it will already start to break down. Because of the insulation, you can even compost during winter! 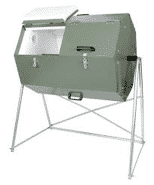 Because of the two compartments, it is easy to use the composter as well. 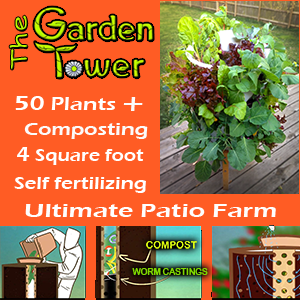 You fill one side to capacity and it will have created compost in just two weeks. In the meantime, you will start to fill the other side, and this means that, once you have managed to create two loads, you will always have compost on a regular basis. You do, however, have to rotate it regularly. This is essential to the creation of good compost. Additionally, you need to make sure air can get into the mixture to speed up the composting process. This composting device is fully enclosed, which makes it pest resistant, as does the fact that it is elevated. Furthermore, the device is created to reduce odors. Cardboard and shredded paper, which includes egg cartons. Essentially, anything biodegradable can be added to the composter. Your very first compost will be ready after about six to eight weeks. After that, it will take just three to four weeks. Extremely Durable - The equipment has a galvanized steel panel exterior that is also powder coated. The stand is also made from galvanized steel, and the hardware is made from rust proof stainless steel. This means it can last for years. Weather Resistant - It can be subjected to extreme freezing and won’t crack. It can also last in prolonged exposure to the sun without the finish deteriorating. In fact, It is insulated with 2.16” HDPE polyethylene, which is a non toxic, stable plastic. Warranty & Guarantee - The composter has a full 1 year manufacturer's warranty and 100% satisfaction guarantee, so you don’t have anything to lose by purchasing it. Is The Jora Composter Right For Me? It is also commonly found in restaurants, hotels, care homes, and other such establishments, particularly if they either have a garden or sell compost on. 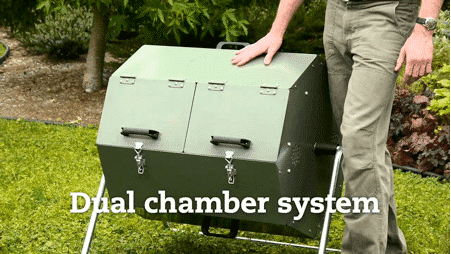 And if you have the space and the budget, then it is by far one of the best composters out there. As such, I 100% recommend the Jora Composter to anyone.